I received free products from Buddy Fruits for the purpose of review, all opinions are my own. 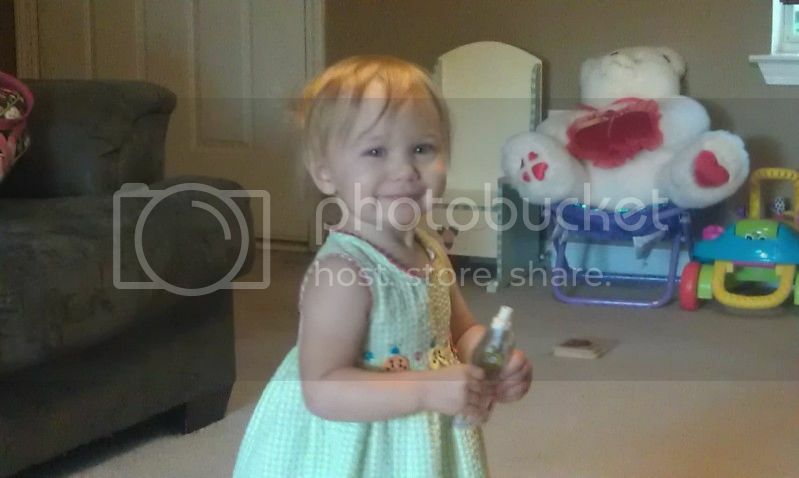 I am very pleased to share that Buddy Fruits was nice enough to let me share my families take on their products. I noticed on their Facebook Page that their products are sold at Publix, Winn Dixie, and Piggly Wiggly just to name a few. But I know they are also sold at Kroger (the pouches are only $1!) and you can also get them as an alternative to waffle fries in kid's meals at Chik-fil-A. 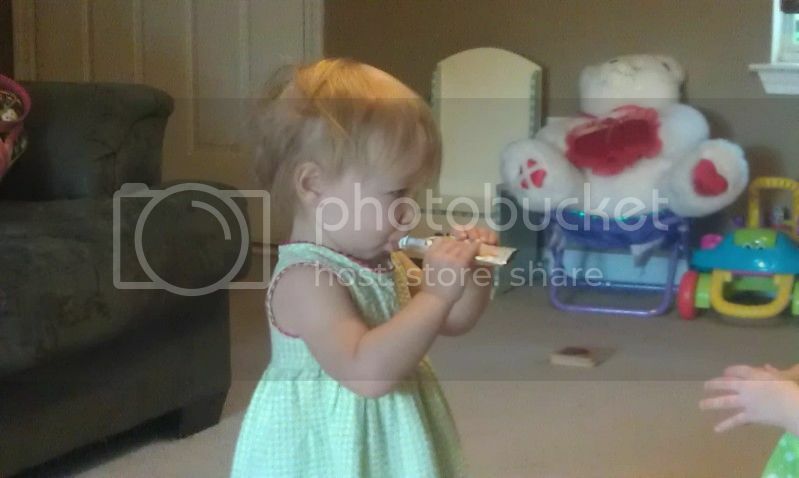 My daughter is 18 months old and we are constantly on the go. I am always looking for healthy, on-the-go snacks for her. 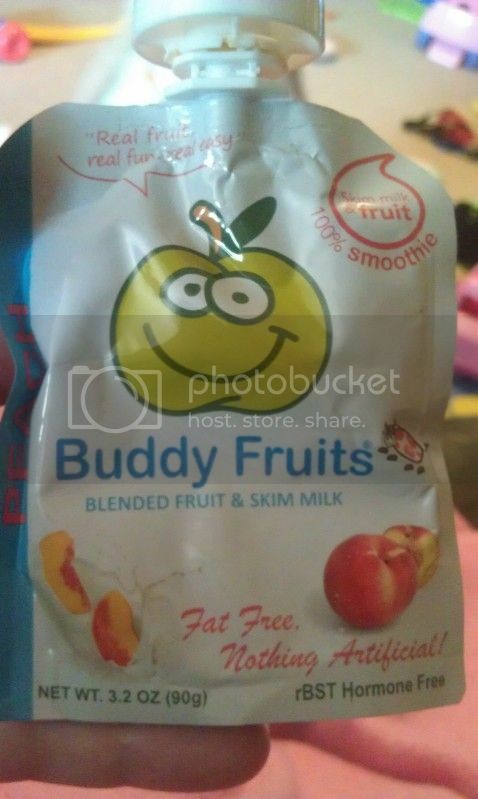 When I first came across the Buddy Fruits brand, my husband mentioned that I should buy them to let her try since they are at such a great value. 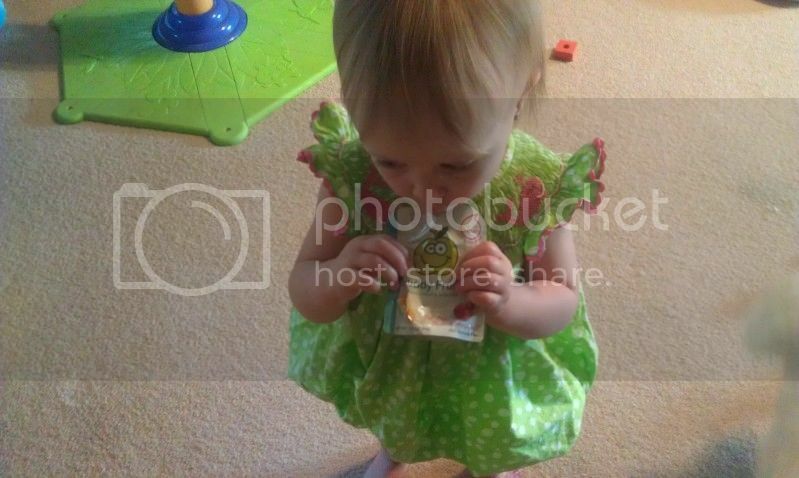 My daughter is a picky eater and goes through stages where her once favorite item is now her least favorite. We had bought some pouched fruits before (never the Buddy Fruits brand) and she was becoming very finicky about them. 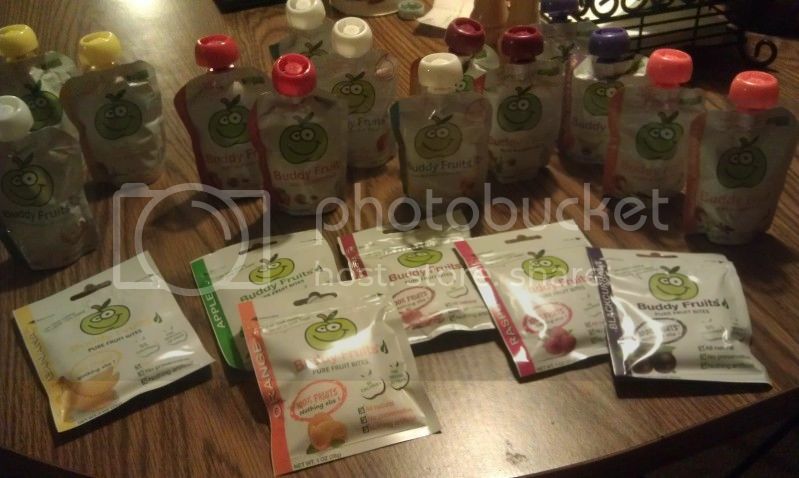 Since Buddy Fruits is a relatively new product on the market, they sent me samples to test. And boy did they deliver! I have actually never seen the pure fruit bites before. So I was definitely excited to get my daughter (and my friend's little girl) to try them out. The first thing they tested were the Blended Fruit & Milk peach flavor pouches. I was skeptical as my daughter has never been a huge fan of peach. But as you can see they both sucked the pouch dry! It's made with 100% pure fruits and skim milk. And one pouch equals a WHOLE serving of fruit! I feel complete knowing I am giving my daughter such a healthy snack. I really like this concept for the pouches. My daughter is pretty picky too, even at 4 years old, and I think that this would be a great way to get her some fruit into her system without realizing that it's nutritious for her! Glad to hear that the product worked out well! I am going to have to look for these and try them.